While Art Basel Hong Kong 2019 requires some serious exhibition planning before March 29 (you don’t want to miss any must-sees this year), you can bet on the event’s art crowd to be dealing hard in the style-stakes too. 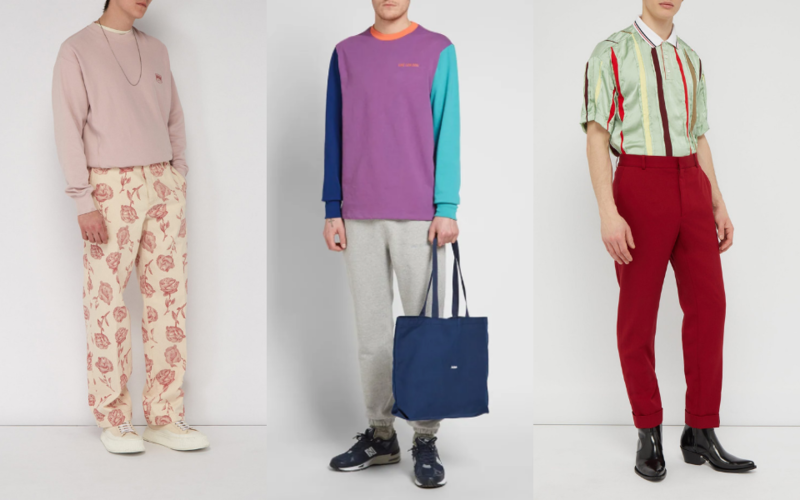 With art-season upon us, here are 10 standout fashion pieces to wear to Art Basel Hong Kong in 2019—and own the art (and fashion) scene this year. This statement velvet blazer from Paul Smith is a style trick that’s sure to pay off at Art Basel. Crafted in Italy, the striking teal number features natural horn buttons and the designer’s ‘Camera' printed lining—making it an art piece in its own right. The perfect partner for a velvet blazer, these tuxedo trousers will have you looking the part come cocktail hour. Officine Generale’s modernisation—with a drawstring waistband and cropped and hemmed leg—ensure comfort and class. Slip on a pair of loafers for a formal look, or dress them down with low-cut white sneakers. Italian sprezzaturra­—a certain carelessness, especially as a style of art—is the unofficial dress code for Art Basel, and it drips from this sartorial blazer by Napoli label Isaia. The silk-wool blend navy jacket is dressed in a casual windowpane check, making it sharp but not stuffy. More colour pops than an original Andy Warhol is this long-sleeve t-shirt by New York designer Aimé Leon Dore. Inspired by the '90s music scene in Queens, New York, the mauve, aqua and navy colour-block tee is topped with a fluoro orange trim and logo. Team this chilled tee with chinos and neat sneakers for art-worthy outfit. Parisian cult-label newcomer Y/Project reimagines a fashion staple with this eclectic polo shirt. In green silk satin—striped with cotton piqué inserts and a contrasting white point collar—this fashion tableau is the perfect polo for a smart-casual art party. A jacket will set this top off. Boss of the dress shoe, Berluti has released a progressive take on the classic leather loafer this season. Crafted in Italy from moss-green calfskin, the natty loafer—with a notched vamp for slip-on ease—is embossed with a script detail across the toe. So poetic. Minimalism has met its match with this Eytys denim jacket. The Swedish brand has released an iteration of the classic jacket in biker black. And like a good art-piece, the devil is in the detail, with a coated-cotton finish for a luxury update. Make a statement—down below—this Art Basel with a printed trouser. Streetwear tour de force Aries has released its white cotton chino in a bold all-over red rose print. Cut more like a suit trouser, come prepared to steal the style show: the antithesis of being a wallflower. Not since the '90s has it been this cool to wear a cross-body bag. With nostalgia trending hard right now in men’s luxury, Balenciaga’s sporty satchel in neon yellow nylon is the perfect throwback accessory, and it’s practical too: a front zip pocket, top zip fastening and an adjustable black strap at the rear. One of the most affordable sneaker stars this season comes from veteran sneaker brand Vans and its Vault designer, Taka Hayashi. Reintroducing psychedelic patterns from the '80s, these Vans hi-tops keep the Cali sneakers' emblematic shape, but with a cool zebra print balanced with vintage brown suede panels. Super comfortable, they’re ideal for long days on your feet.